← Peter and Erika Berg Live on an Island. Peter and Erika Have a Beautiful Island Home!! Australia Will Host the 2020 ISA Shuffleboard “World Championships” PLAN NOW TO ATTEND!! 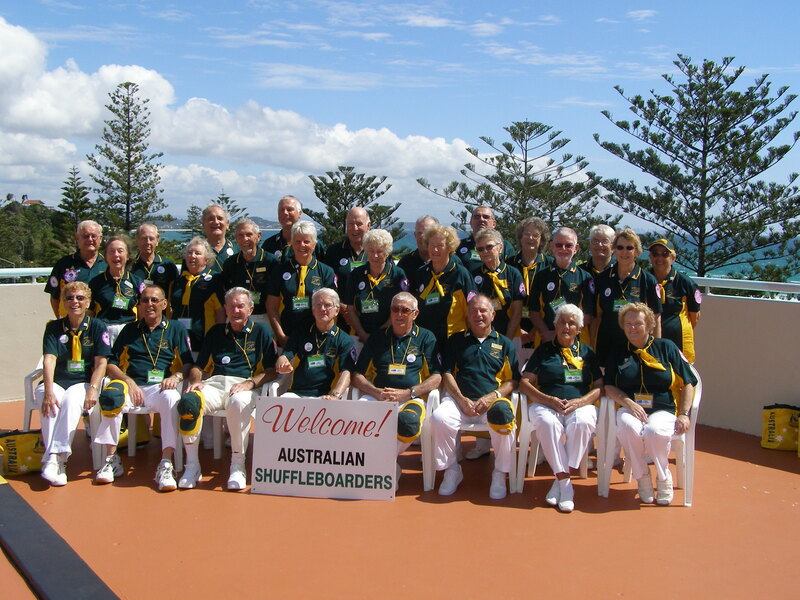 AUSTRALIAN TEAMS OF 2008 ISA IN COOLANGATTA. I’m happy and pleased to announce that Ian Reiher, President of the Australian Shuffleboard Association has confirmed that they will host the 2020 ISA Team Tournament to be held in Coolangatta and Elanora on the Gold Coast, Queensland, Australia during October. On behalf of the International Shuffleboard Association we send our “CONGRATULATIONS” to President Ian Reiher and the members of the Australian Shuffleboard Association for this great news. Stan adds related info. Australian History as the History indicates, two locations are used for an ISA Event, the pic at top is the AU Players, 2008; pic taken at the Coolangatta roof-top courts overlooking the Coral Sea of the Pacific Ocean. Folks; you will shuffle on these Roof Top Courts!! That in itself is good enough reason to plan now to attend the 2020 38th ISA!!! The Courts at the other location, Elanor, have been recently re-surfaced. Posted 2018 09 24. This entry was posted in 38th ISA Austria. Bookmark the permalink. 2 Responses to Australia Will Host the 2020 ISA Shuffleboard “World Championships” PLAN NOW TO ATTEND! !